Cody Kuehl is a Northern Colorado born New Western artist who resides in Denver. He is currently showing at Red Wolf Gallery and Gallery 1505 in Denver. 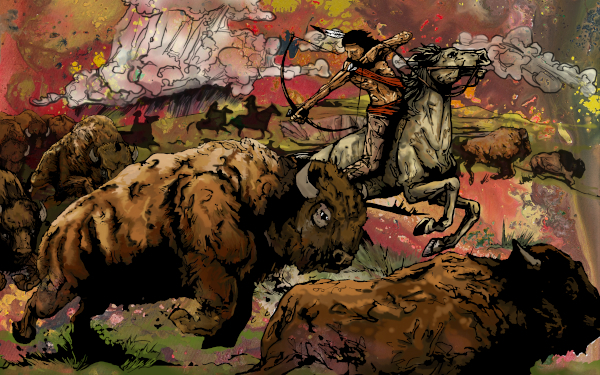 The Art of Cody Kuehl features New West paintings with a stylistic interpretation of recurring western themes. By drawing from many different sources, Cody Kuehl illustrates the west by pairing strong graphical themes with non-objective underlays.